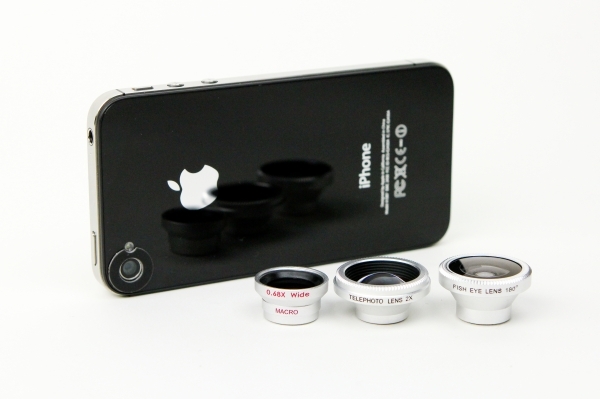 Wide Angle Macro , Fisheye, and Telephoto Lens for your iPhone Fits Like a Glove! It’s hard to believe you were that Snobby McSnobberson of yore — 100% dedicated to film and cringing at the “D” in DSLR. But then, cell phone cameras happened. It was the readiness with which you could whip out this camera that made you fall in love. Yes, it had you at hello (get it? it’s a phone), and now your only wish is to bathe your beloved with lavish accessories. Well, your wish is granted! Our high-clarity glass cell phone lenses are like pro lenses for your camera phone, giving you crisp and clear shots every time. 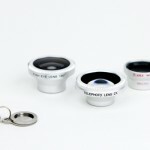 Presenting three small yet powerful lenses: the Fisheye, Telephoto, and Macro/Wide Angle Cell Phone Lenses. These finely constructed lenses transform your standard phone photos into wide, up-close, super zoomed and wonderfully warped wonders. They work with any camera phone (even the slick glass on your new iPhone 4!) and attaching them is easy breezy! 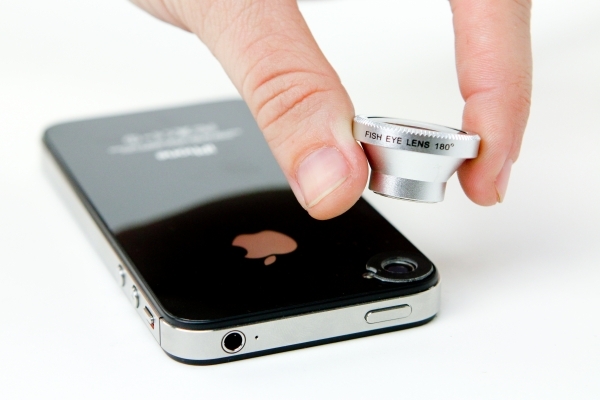 A detachable magnetic ring sticks to your cell, providing a sturdy, shake-free hold between the lens and your phone. The Wide Angle/Macro Lens is the perfect pairing. The removable Macro ring captures shocking high quality close-up detail while the Wide Angle Lens allows you to cram more into one shot. Perfect for video chatting or group shots. The Fisheye Lens creates fun-tastic curved edges with a 180-degree angle that makes everyone look like they live in a plastic bubble (or a Beastie Boys music video). 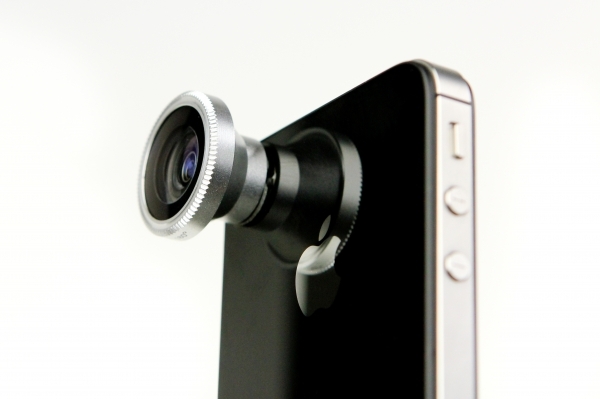 Then there’s the latest addition to the phone lens family: the super handy Telephoto lens. It gives your little-phone-lens-that-could super duper 2x zooming powers. Look at you, paparazzi! iPhone Fish Eye Lens, Installs so easy! 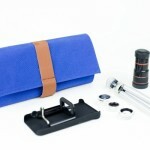 More Accessories for iPhone Photography!